Grabbing a sugar-free protein bar or sugar-free candy may seem like a healthier option; you’ll save calories from the lack of sugar, won’t experience blood sugar spikes, and it’s (usually) safe for people who are keto or have diabetes. But what exactly are the sugar alcohols used instead? They’re different from the traditional sweeteners we think of (stevia, sucralose, aspartame, etc. ), but still add zero to minimal calories. Sugar alcohols are naturally found in some fruits, vegetables, and mushrooms in small amounts explained Kristin Koskinen, RDN. But the most common ones are found in processed foods to add sweetness without the calories. Sugar alcohols are a carbohydrate with a unique chemical compound that’s not quite sugar, but not quite alcohol. 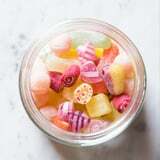 “Different sugar alcohols include sorbitol, mannitol, maltitol, and lactitol; the ‘-ol’ is what tells us it’s an alcohol, though not to be confused with ethanol [grain or drinking alcohol],” Koskinen told POPSUGAR. Although they typically have zero to a couple calories per serving, they are poorly digested, which can have a laxative effect, she explained. 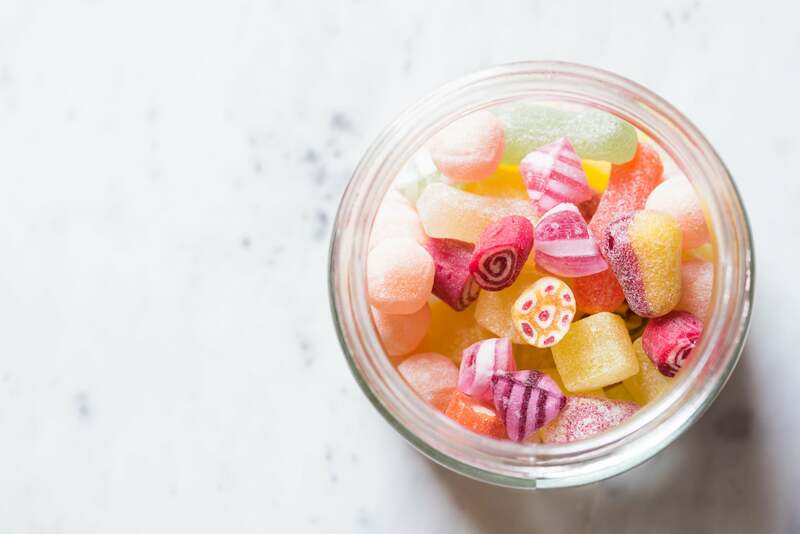 Since sugar alcohols aren’t completely digested, they become a food source for your gut flora, which metabolize the sugar alcohols and produce short-chain fatty acids and gas. If eaten in excess, people may experience bloating, flatulence, or stomach discomfort – not necessarily pleasant. And while the negative side effects make sugar alcohols not seem worth it, they are considered safe when eaten in moderation. Currently, there hasn’t been a set recommendation for a daily intake, but if you’re worried about digestive issues, it’s best to eat them in moderation. Check the label for any of the “-ol” ingredients, and luckily, most packaged food now contains grams of sugar alcohols on the nutrition label.